Dr Sim (front row, fifth left) and Dr Hazland (front row, fourth left) pose for a photo with strata title recipients after the presentation ceremony. Photo by Chimon Upon. KUCHING: The amendments to the Strata Title Ordinance 1995 are in the final stages of discussion and hopefully will be tabled at the upcoming State Legislative Assembly (DUN). Local Government and Housing Minister Datuk Dr Sim Kui Hian told reporters that the ordinance would be split into two; one regulating the issuing of strata titles and the other to manage strata titles. “The two new ordinances will be the Strata Title Ordinance and Strata Title Management Ordinance. The Ministry of Urban Development and Natural Resources will retain the Strata Title Ordinance, while the Strata Title Management Ordinance will be under the Ministry of Local Government and Housing. “The Strata Title Management Ordinance will address all matters related to maintenance of the houses, flats or condominiums and other facilities related to housing areas,” Dr Sim said. He divulged this to reporters when met after handing over strata titles to 28 homeowners in RPR Sepakat Jaya Demak Laut here today. Dr Sim added that he would be checking in with the Ministry of Urban Development and Natural Resources to see if the two ordinances could be submitted in time for the upcoming DUN session. “Because the amendments involve two ministries, the question is whether we are in time to submit the two ordinances for the upcoming DUN session, as they need to be submitted simultaneously. 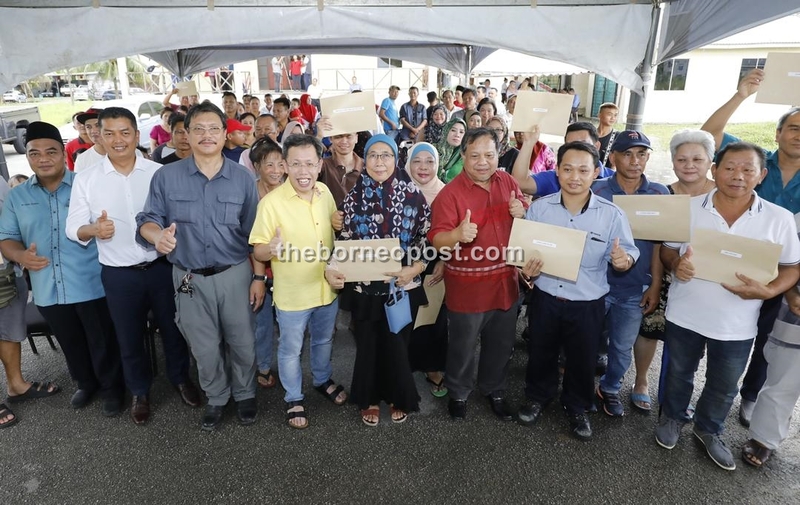 But we are in the final stages, so I just need to check with the Ministry of Urban Development and Natural Resources to see if we can submit the two ordinances in time,” Dr Sim stated. He also urged homeowners who had completed paying off their bank loans and management committee fees to visit the Housing Development Corporation (HDC) to get their strata title letters. “If any homeowners have paid off their bank loans and management committee fees to come to HDC at any time to get your strata title letters. Then, at least you can mortgage or sell your house if you want to,” Dr Sim added. Present at the strata title handing over ceremony was Demak Laut assemblyman Dr Hazland Abang Hipni.